Nobody knows where triffids came from. 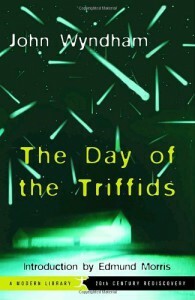 Someone even suggested that the triffids are a secret bio-weapon deposited in the satellites. They are plants, but they can move too, just like animals. In the beginning, they demonstrate no animosity to humans, but it didn’t last long. After nearly all human population were blind by a comet blast, the triffids got advantage of this. They started to kill the remaining humans, mostly blind people, and usurped many cities of England. They have their weapon, strings that they can throw to the people to kill them or make them blind. 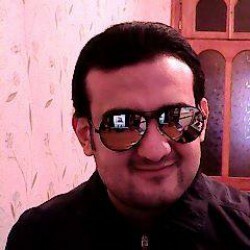 Those few who can see organized the tribes where they raised their families on the remaining resources and helped as much as they can the blind people. Here again we can trace a common scenario about post apocalyptic SF, meaning decreasing amount of resources, competition for them (here benign), trying to establish a sort of dictatorship, personal features of main hero, Bill Masen, to his dependents in tribe and so on. From the beginning when Bill Masen wakes up in a hospital seeing all the people around is blind or dead till the end of the book where he meets few heavily armed persons who want to dictate their rules, it’s obvious that this is not possible to eradicate all triffids. We are doomed to live with ’em, fighting them.